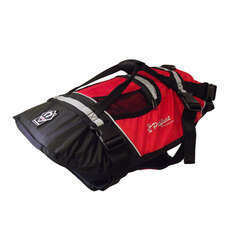 Take the worry out of having your cat or dog near the water by having them wear a pet float. Ideal for situations where your beloved cat or dog might not be able to get themselves back on board or for the older pet who may no longer be able to swim proficiently. Ideal for use around marinas, on board yachts and motor boats or just alongside the canal or river.